Crappie Are Fun to Lure and Hook. How Can You Catch More Pomoxis? 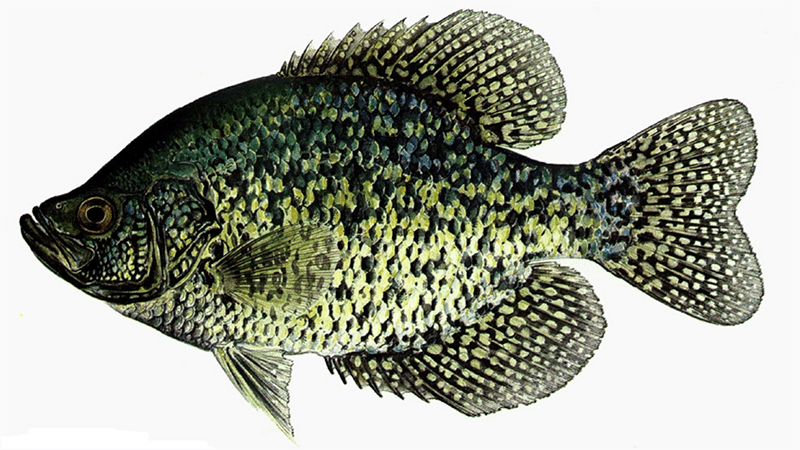 Crappies can be found anywhere, but they are easiest to catch in icy and frozen lakes. When ice fishing crappie you need the right knowledge to ensure that you can hook as many as possible. They are also one of the most common fish species that can be found living underneath the ice. Crappies, the scientific name being Pomoxis, are quite fun and simple to catch. That is, if you are using proper winter fishing tactics. First, you need to be aware of as much information as possible about the area that you are going to be cold water Pomoxis fishing in. Try to talk with some of the locals about the icy water you will be cold water Pomoxis fishing in. Ask about the other species of fish that are in the lake also. 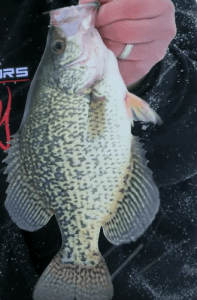 Remember, the bigger the lake that you are ice fishing crappie in, the better. This will give you a greater chance at catching them. However, it can take some time to find the perfect spot. One of the best winter fishing tactics is boring more holes to provide yourself a better chance to locate the fish. If you already find the location of the fish it is also important to know how to get the fish out of the water and on the ice safely. The best way is usually through jigging. It is in jigging where you raise your rod up and down gently to lure the fish out. It is best to go cold water Pomoxis fishing in between sundown and right after dark. If you follow these time frames your ice fishing trip will be colder than usual, so you will need to be appropriately dressed. Pomoxis are mostly located in icy lakes around winter time because when temperatures are high, they prefer larger bodies of water. There are certain winter fishing tactics you can use to benefit you and increase your chances of hooking Pomoxis. There are tools and pieces of equipment that you are going to want to have with you. Bring along a portable sonar, an auger (preferably an electric one), and a jigging rod with some jigs. A power auger is used to drill holes to locate the fish. You might need to dig many holes before you can find the best one and that is when this comes in handy. You can drill three holes roughly three feet apart. This will dramatically increase your chances of hooking one of these fish. It is also imperative when you are ice fishing that you are using the correct bait. Using live bait will help you trigger a bite more quickly. Minnows are one of the most useful and efficient baits for bigger white crappies. Grubs can also be helpful; you just have to make sure that you attach them to a jig. Where you plan on going cold water Pomoxis fishing will ultimately determine what equipment you will want to bring with you. If you know that you’re going to have a long distance to walk, it might be beneficial to bring with you a sled. These can help you can take your equipment to your perfect spot all in one trip. When you are ice fishing crappie, it is important to know that it isn’t just about luck while you’re out on the ice water with your pole. Preparation and practice of some winter fishing tactics can help you catch more and have a day you won’t forget.